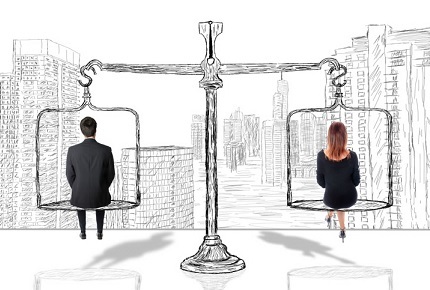 Despite saying they want to close their gender gaps, many Canadian companies are yet to get started, while those putting in effort are baffled as the glass ceiling remains largely intact. A recent report by the McKinsey Global Institute found that Canada could add $150 billion in GDP to the economy in 2026 by adding more women to high-productivity sectors like technology, raising women’s participation in the labour force, and increasing women’s working hours. Yet when it comes to breaking down barriers for female workers, some companies are dragging their heels, while others are scratching their heads over why their initiatives aren’t paying off. The report surveyed 69 companies, employing more than half a million people, finding that very few had targets, milestones or programs aimed at helping women reach leadership positions. While more than half of companies considered gender diversity a top 10 strategic priority, just 14 percent had clearly articulated a business case for change. Most companies offered flexible work arrangements, like long-term leave and part-time work, but 58 percent of employees believed that taking advantage of those would hurt their career progression. Fifty-five percent of the companies lacked targets for female representation, and 75 percent did not track female recruitment nor reward leaders for fostering gender diversity. And while women made up approximately 45 percent of all entry-level employees, they were only 25 percent of vice presidents and 15 percent of CEOs. Tiffany Vogel, associate partner at McKinsey & Company Canada, says the companies were “all in different places” with their gender diversity efforts, but the sentiment across them was shared. The gender gap at the top of organizations wasn’t due to attrition or a lack of leadership ambition, leaving companies “a combination of perplexed and determined”, Vogel says. The survey also suggested that at almost every stage of the pipeline, a woman’s likelihood of being promoted to the next level was smaller than a man’s, with a “clear bottleneck” between the director and vice president levels. Vogel suggests both sides need to be part of the solution. “Women still have more work to do in promoting themselves – the data tells us that women are not as likely to put themselves up for promotion. “There’s still a lot of bias in organizations, and that’s where we need to really unpick where these barriers can be – organizations still have a tendency to hire in their own image, and that’s very much in human nature … That’s more deep-seated, it’s more subtle and it’s more difficult to change”. Raise awareness of, and combat, unconscious bias to create a truly inclusive environment.